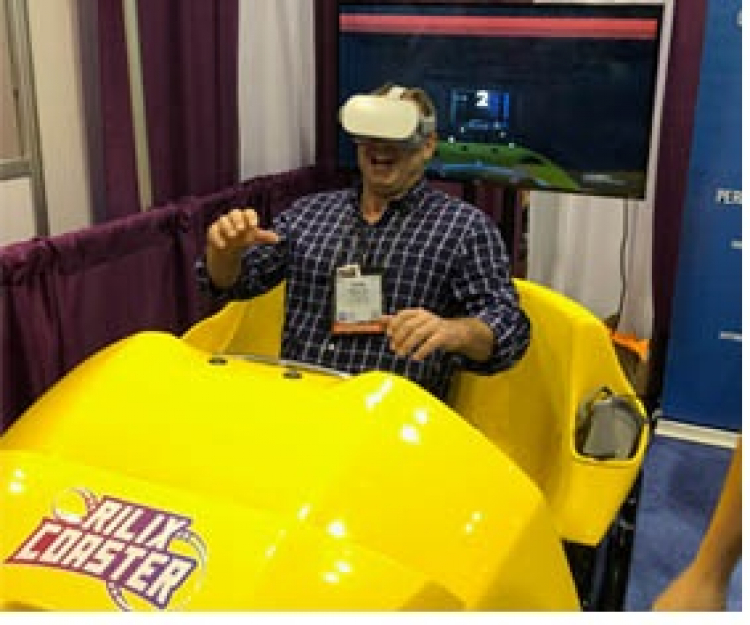 Virtual Reality Coaster - Jumpin Jiminy - Make Your Events Awesome. 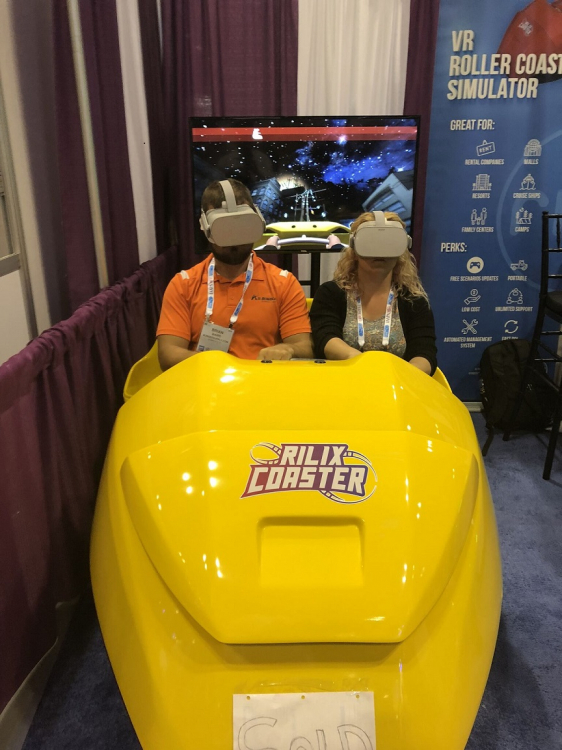 Give your event goers the ride of a life time in our newest attraction the Virtual Reality Coaster. With 28 different ride experiences. Take the kids to the North Pole to see Santa if its Halloween we take a ride with the Zombies or event take a trip to outer space. Perfect for colleges, Youth Events, Schools and special Corporate nights.